Flashings are metal pieces that are responsible for waterproofing and prevents water from getting into places where it does not belong. It should not be confused with caulk that fills small gaps around windows or doors. This type of roofing material is frequently employed to waterproof the intersections of your roof and adjacent walls. If you have a chimney at home, then chances are great that you have already seen a flashing up close and personal. If you do not know or have not seen the top of your roof, you can call on South Shore Roofing to take a look and inspect your flashings as well as the entire roof to make sure you are safe from roof leaks. 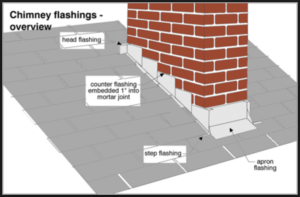 There are different types of flashing being used for your roof. You might not know this, but as early as the 18th century, flashings were already being employed by carpenters to prevent leaks from the roof. By means of folded lengths of birch bark, waterproofing issues were resolved back then. However, fast-forward to the present time, barks were substituted by one of these standards: Aluminum, Copper, Lead-Coated Copper, Lead, Galvanized Steel, and PVC materials. However, regardless of the many variations and compositions of modern flashings, still such material is susceptible to damages. Thus, explaining the roof leaks that you might have recently observed on your property. If such is the case, you should at least have an overview of how you may repair roof flashing for your home. When you encounter leaks at home, especially around your chimney or adjacent walls, you will have to check first for any obvious holes or corroded spots. Such defect on your flashing contributes to the leaking inside your home. In order to remedy the concern, simply plug pinholes with roofing cement. Consequently, about 3/4 inch in diameter of hole patching is needed, which should likewise be of the same material as your damaged flashing. However, if holes are not just your concern, then replacement may be needed especially with severely corroded flashing material. In order to properly replace the old and damaged flashing, you will have to take off several rows of shingles so that you may commence with the flashing replacement. If upon your inspection there are no visible holes or severe corrosion, your flashing might be needing additional seals. You will have to remove the old mortar and caulking along with the edges of the flashing so that you can renew the old seals of your loose flashing. By means of special masonry caulk, you will have to seal the joints between the flashing and the chimney or portion where you will be reinstalling it. 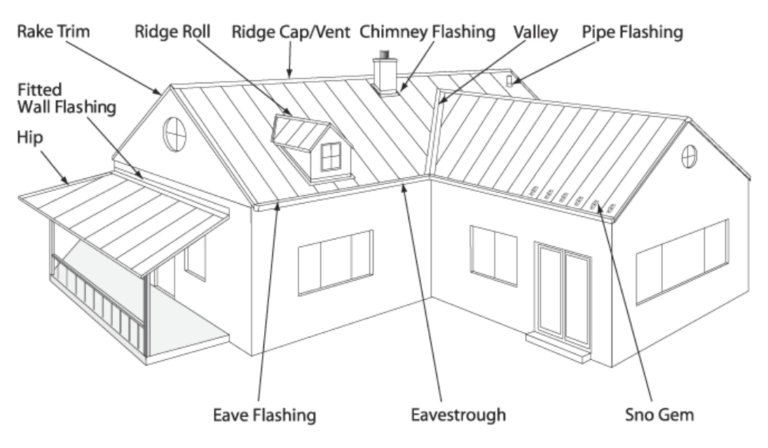 Needless to say, flashings on your roof play an important role in the overall protection of your home. That is why, when you notice minor or severe damages that may need repair or replacement, you should contact your local roofing contractor. For flashings repair or flashings installation around Plymouth County, MA you can contact South Shore Roofing. Located in Pembroke, they serve Plymouth County and the greater Boston area. Contact Us Today! For other home improvement concerns involving your gutter, siding, and fence, you may contact us for help. Call us at (781) 826-7663 or you may also visit us at 260 Washington Street Pembroke, MA 02359.